Personalized All Stainless Steel Mugs for Travel and Car, Custom Printed in Bulk. All Stainless Steel: stainless steel inner and outer wall. Promotional, Inexpensive, Executive quality. Lowest prices in the USA and Canada. 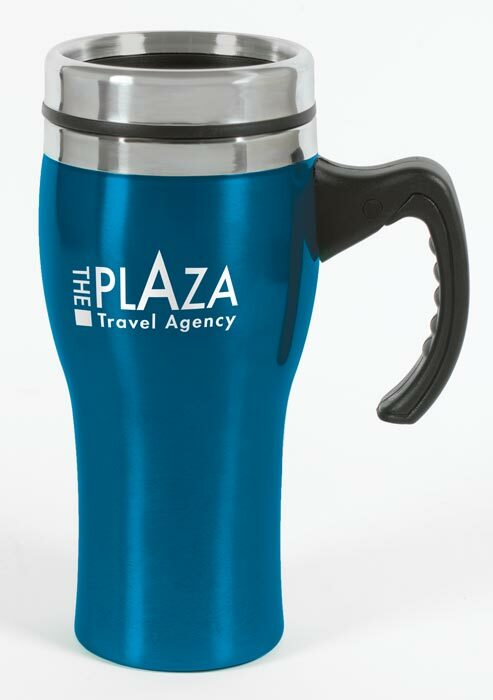 Bulk custom imprinted travel and car mugs, made of stainless steel inside and outside: double wall thermally insulated to keep your coffee or tea warm for a long time. Our wholesale fully stainless steel mugs are equipped with safety lids for in-car sipping. Individually boxed. Lowest prices in USA and Canada for personalized stainless steel travel mugs.